Most of the speakers offered strong support for the new standards, and several of them said the proposed rule doesn't go far enough. Pam Person, of Orland, is a volunteer with the Maine League of Women Voters. "We think there need to be stronger standards so we applaud the EPA for the steps," Person said. "But we think instead of 30 percent it should be 35 percent by 2030." The EPA's Curt Spaulding says the agency welcomes public feedback. "The fact that people are coming out and commenting is vital for the success of the rule," Spaulding said. "We need to hear how this works for people. If we need to tweak it and improve it and adapt it to some of the comments that's something we're more than willing to do." 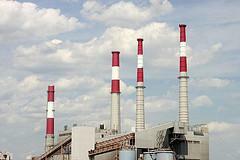 The public comment period for the proposed power plant rules ends in mid-October.